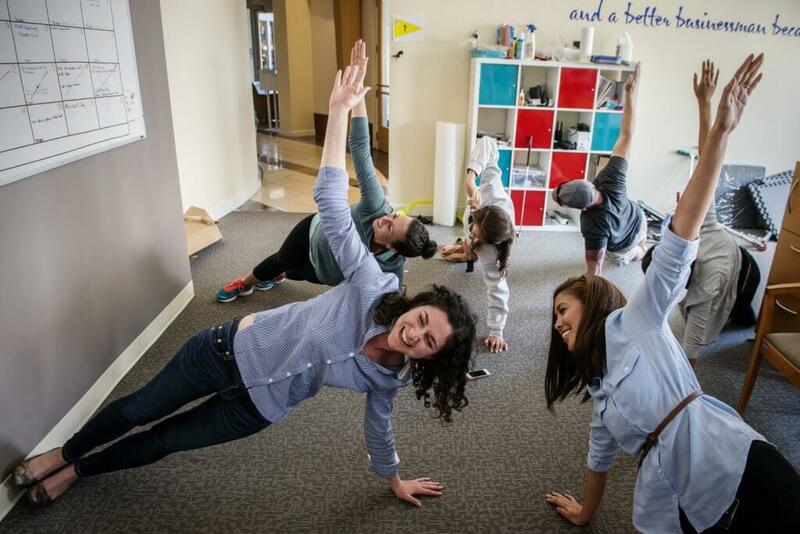 Employee wellness programs can use a variety of strategies to help improve employee health. I’ve been working in the wellness industry for 30 years and I’ve pretty much seen it all. Here are 50 wellness plan examples for physical activity, nutrition, and tobacco cessation that have been used by hundreds of worksites. Not every example may be right for your worksite, but all of them will help make a difference. In addition, the 50 wellness programs examples are listed from least to most expensive. Regardless of your wellness budget you can start improving employee health. Calculate how much a comprehensive wellness program would cost for your company. I’ve linked most examples to additional online resources and tools you can use to make a great employee wellness program. These are outstanding free resources. Even if you don’t use the resources, they will give you great ideas. There are enough great wellness plan examples shown here to help any worksite get a great start on having a health, happy workforce. People who are physically active reduce their risk for heart disease, diabetes, cancer and have lower stress. The recommended level of physical activity to produce most health benefits is 30 minutes of moderate physical activity on most, preferably all, days of the week. People who stay fit will cost less, be present more, and be more productive at work. 1. Create a company culture that discourages sedentary behavior, such as TV viewing on breaks and sitting for long periods of time. 2. Offer flexible work hours to allow for physical activity during the day. 3. Support physical activity breaks during the workday, such as stretching or walking. 4. Map out on-site trails or nearby walking routes. 6. Post motivational signs at elevators and escalators to encourage stair use. 7. Provide exercise/physical fitness messages and information to employees. 8. Have employees map their own biking or walking route to and from work. 9. Provide bicycle racks in safe, convenient, and accessible locations. 10. Provide shower and/or changing facilities on-site. 11. Provide outdoor exercise areas such as fields and trails for employee use. 12. Provide or support recreation leagues and other physical activity events (on-site or in the community). 13. Start employee activity clubs (e.g., walking, bicycling). 14. Explore discounted or subsidized memberships at local health clubs, recreation centers, or YMCAs. 15. Implement incentive-based programs to encourage physical activity, such as activity tracker walking challenges. 16. Offer on-site fitness opportunities, such as group classes or personal training. 17. Provide an on-site exercise facility. 18. Provide incentives for participation in physical activity and/or weight management/maintenance activities. 19. Allow for use of facilities outside of normal work hours. Healthy eating is crucial in the prevention and management of overweight and obesity. Consumption of fruits, vegetables, and whole grains helps prevent chronic diseases such as cancer, stroke, and heart disease. Healthy eating also helps improve productivity. Employees often eat and drink at work; strategies and policies that improve the food culture make sense. 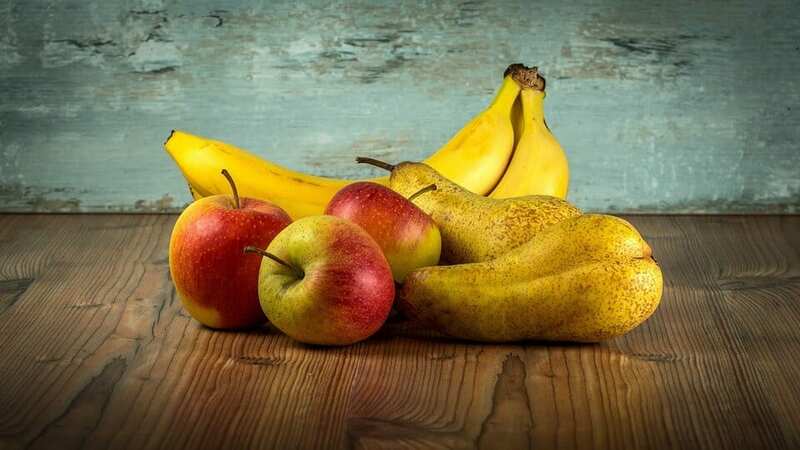 For example, employees will eat fruits, vegetables, and whole grain foods if they are available in the cafeteria, vending machines, and at company meetings. Reducing the price of healthy food can encourage employees to make better choices. Allowing employees to store and prepare food at work will help them avoid the expense and negative health impact of fast food. 21. Send healthy food messages to employees via multiple channels (i.e. email, posters, payroll stuffers, etc.). 22. Promote fruit and vegetable consumption through motivational signs, posters, etc. 23. Provide protected time and dedicated space away from the work area for breaks and lunch. 24. Offer appealing, low-cost, healthful food options, such as fruits and vegetables, 100% fruit/vegetable juices, and low-fat dairy products in vending machines, snack bars and break rooms. 25. Choose healthy food options for vending machines, snack bars, and break rooms. 26. Promote healthy choices by increasing the percentage of healthy options that are available. 27. Use competitive pricing to make healthier choices more economical. 27. Advertise or mark healthy options so that they stand out. 29. Promote inexpensive healthy food. 30. Ask on-site cafeterias to follow healthy cooking practices. 31. Ask on-site cafeterias to set nutritional standards that align with dietary guidelines for Americans. 32. Provide appropriate portion sizes and provide portion size information via food labeling. 33. Offer healthful food alternatives at meetings, company functions, and health education events. 34. Make kitchen equipment (refrigerators, microwaves, stoves, blenders, etc.) available for employee food storage and preparation. 35. Offer local fruits and vegetables at the worksite (i.e. farmer’s market). 37. Provide interactive food opportunities such as taste testing, food preparation skills, and peer-to-peer modeling. 38. Establish workplace policies and programs that promote and support breastfeeding. 39. Provide an appropriate place for breastfeeding/pumping. 40. Provide incentives for participation in nutrition or weight management activities (these can range from low cost items such as water bottles to high cost items such as health insurance rebates). 41. Include the employees’ family members in a campaign promoting fruit and vegetable consumption. 42. Provide lactation education programs. The negative health effects of smoking and second hand smoke are well established. Cigarette smoking is the leading cause of preventable death in the United States each year. The list of diseases associated with cigarette smoking is long and costly. Compared to nonsmokers, smokers cost more and consume more medical care. Insurance companies and employers now see the value of covering smoking cessation programs and medications. According to the Centers for Disease Control, smoking costs the nation $167 billion a year in healthcare costs and lost worker productivity. The CDC estimates each employee that smokes costs your company $3,391 per year—including $1,760 in lost productivity and $1,623 in excess medical expenses. Smoking cessation programs have shown both an immediate and a long-term return on investment. 44. Create a policy prohibiting tobacco use anywhere on company property. 45. Provide prompts/posters to support no tobacco use policy. 46. Promote the Tobacco Quit Line. 47. Support participation in smoking cessation activities during work hours. 48. Provide onsite individual or group counseling. 49. Provide a health plan sponsored individual, group, or telephone counseling program. 50. Provide cessation medications through health insurance.